Ron Santo will need to wait another two years for the Veteran’s Committee to come to their senses and elect him to the Hall of Fame. 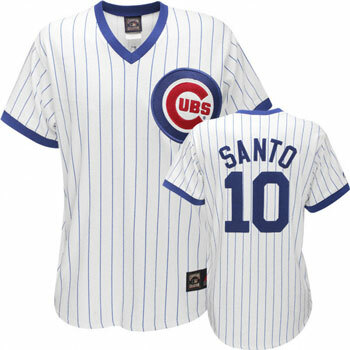 If anyone has see the documentary on Santo’s journey, This Old Cub, you can appreciate how Ronnie must feel today. My heart goes out to the guy. Being overlooked again for the Hall is disappointing but it also has served a purpose. The failure to recognize Santo in the HOF has brought to light a discussion on both the flawed selection process and the context in which players stats are compared relevant to their given era. For example, it is unfair to compare Santo’s stats from the 60’s to that of today as many lower-tier third basemen routinely hit .277 with 25 HRs. But in the mid-1960’s, those number were good enough for Santo to bat cleanup in a lineup loaded with pop, with two other Hall of Famers in Ernie Banks and Billy Williams. Santo went to 9 All Star games and won 5 Gold Gloves. You and I can further consider that he played with Type I Diabetes but Ron Santo would not want that to be part of his evaluation. In fact, he kept that information secret for the first eleven years of his MLB playing career, having only announced it on Ron Santo day at Wrigley in August 1971. He is a class act and deserving of the Hall. I’m astonished the Veteran’s Committee voters continue to fail to recognize that.